Andrew Kinney and his wife, Chelsea, are expecting a baby in September. Kinney, a Douglas graduate, is the new head softball coach at Albertville. He comes to AHS from Cedar Bluff, where he was head baseball coach. The Albertville City Board of Education has hired a Marshall County native to lead the Albertville High School softball program. Andrew Kinney, a 2008 graduate of Douglas, will succeed Matt Lambert as the Aggies’ head coach. The board approved Kinney’s hiring during its May meeting Tuesday night. Lambert has taken over the AHS baseball program from Jeff Simmons, who retired from coaching. Kinney comes to Albertville from Cedar Bluff, where he served as head baseball coach and assistant football coach. He guided the Tigers baseball team to quarterfinal and semifinal appearances in the state playoffs. “I’m thrilled with Andrew,” said Tyler Reeves, who serves as assistant principal and athletic director at AHS. “[AHS Principal] Dr. [Deidra] Robinson and I really wanted to make it a priority to take care of our softball program and its players, parents and stakeholders. 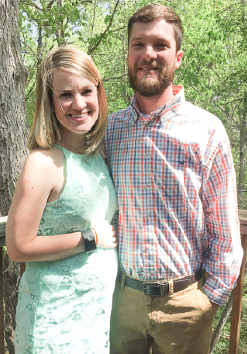 Reeves and the board were familiar with Kinney because he filled a maternity leave for former Albertville Middle School teacher and coach Ashlee Pinyan a few years ago. “[AMS Principal] Lance Kitchens was big on Andrew and said he did a really good job in the classroom,” Reeves said. “We feel like we’re bringing a good young teacher on board. “Something else that really struck me about Andrew — and I believe it’s important when making coaching hires — is that he and his wife [Chelsea] really want to be here. Patterson is the Aggies’ track coach and also an assistant football coach. He spent two years as Douglas’ head football coach from 2006-07. “Andrew went to Cedar Bluff and has been a part of some really successful teams over there with football and as head baseball coach,” Reeves said. “He’s excited to get here and we’re excited to have him here. Kinney has never coached softball, and Reeves said they discussed it during the interview process. The Albertville BOE also hired Megan Christensen as a science teacher Tuesday night. She will be an assistant softball coach. She’s currently an assistant coach at Snead State. Reeves said Lambert will also be available to work with Kinney to help the new coach make a smooth transition. “One thing in this process I really worried about was the timeline and having to announce Coach Lambert going to baseball while softball was still happening,” Reeves said. “But our softball girls were incredible down the stretch from an effort and attitude standpoint. “We were in it down to the wire and lost in the last inning to Fort Payne for a trip to the regional tournament. Those girls fought. Coach Lambert told me how proud he was of how they fought to the end. Reeves said Kinney will teach history at AHS. “One of the first things he talked about in his interview was handling business in the classroom,” Reeves said.